We can help you determine how to alter your calculations with a mudball. You piped your drive down the fairway, but your ball picked up a clump of mud along the way—a common occurrence in soft conditions. Barring a local rule that lets you lift and clean the ball, you'll have to play it as it lies and deal with the dirt. Deciding how a muddy ball will affect your shot's trajectory has always been a guessing game. Traditionally, it's been assumed that as the ball flies, the mud creates air resistance—or drag—that sends the shot in the direction of the ball's soiled side. So mud on the ball's left quadrant, for example, would tug the ball to the left. But there's never been compelling data to confirm or refute this assumption—until now. With the help of the Keiser University golf staff in West Palm Beach, Fla., GOLF used TrackMan to analyze 400 "muddy" 6-iron shots hit by 10 single-digit-handicappers. We used weighted lead tape to simulate a 1.9-gram chunk of dirt (a bit less than the width of your thumb) clinging to various locations near the ball's equator. We compared these 400 swings with some mud-free base swings, then tallied the results. Contrary to conventional wisdom, every single "muddy" ball curved in the opposite direction of the sphere's dirty side (results, right). 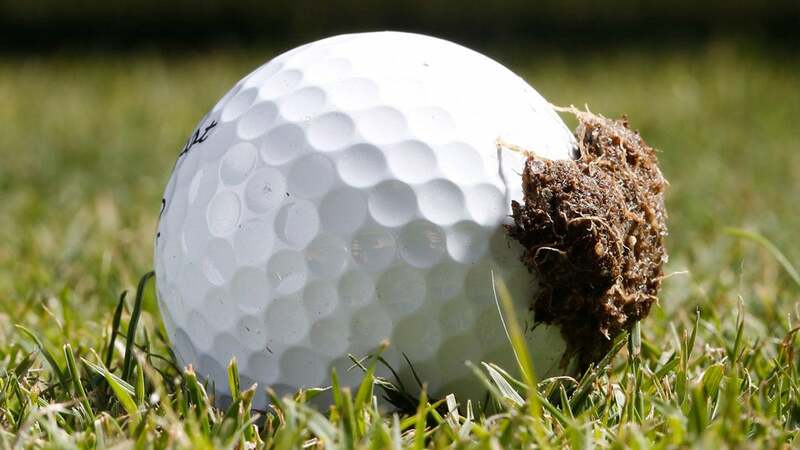 It's clearly time to rethink our assumptions about mud's effect on ball flight. • If the clump of mud or dirt is smaller than the width of your thumb, it will tend to make the ball fade when it's on the left side of the ball and draw when it's on the right side. • If the hunk of mud is wider than your thumb, the volume is likely large enough to curve the shot in the direction of the ball's muddy side, in keeping with the old rule of thumb. • Club up! Our testers lost an average of 5.3 yards on mud-ball shots. • The farther the mud is from the clubface/ball contact point, the more it will curve. Use this cheat sheet to take perfect aim—and take your opponents to the cleaners!